Wood turning involves spinning wood. Spinning wood can lead to dangers and injury. 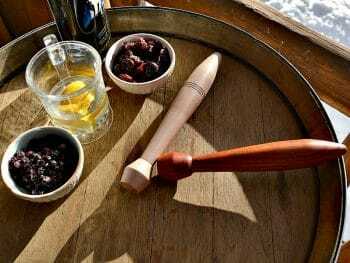 But observing some simple rules can help you avoid common injuries associated with wood turning. I wanted to introduce this blog with an exciting do what I say not what I did story! Yes, I’ve had bowls fly off of the lathe and hit my face shield, but no bumps on the head. I’ve had bowls chip, crack and disintegrate on the lathe but no cut fingers or injuries to my hands. So for me safety has been a mental attitude as well as a physical concern. 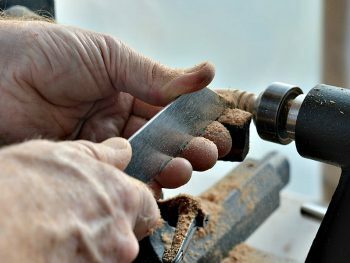 I have walked away from the lathe when tired or unable to focus. Wood turning is fun but not to the point of risking injury. Consider the safety tips below and enjoy your turning. 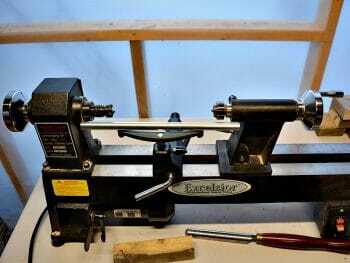 The speed at which you run your lathe has an impact on your personal safety and enjoyment of wood turning. The general rule is to start out slow, especially if the wood is out of round and unbalanced on the lathe. Once the wood is trued and round you can increase your speed. 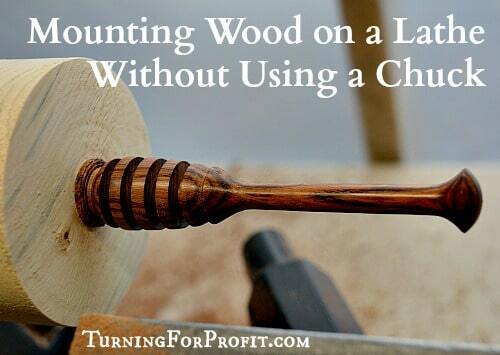 If you have waves or bumps on your wood try adjusting the lathe speed up or down a bit. I use a faster speed at the end when I am sanding and finishing the project. 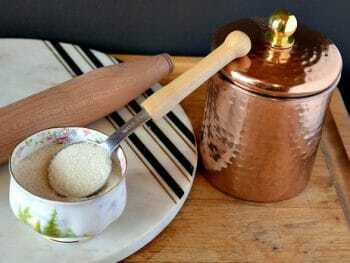 Safety Tips #1: Safe speed for turning a bowl. How can you determine the right speed for turning a bowl? Or you can divide 5000 by the diameter and get the speed of the lathe! A later video suggests 6000 for the initial speed and 9000 as the factor for final finishing. Eye protection is crucial. This video shows you two types, goggles and a face shield. He also mentions not wearing loose clothing which is a really good idea. You should also check the integrity of the wood you are putting on the lathe. If there is a crack or soft spot in the wood it could disintegrate as you attempt to turn it. I tried to turn a bowl out of some very punky wood and it flew off the lathe several times. Good thing that punky wood is soft wood. One factor that has an impact on turning safely is your physical and emotional condition. Don’t turn when you are tired or you have consumed alcohol or drugs. 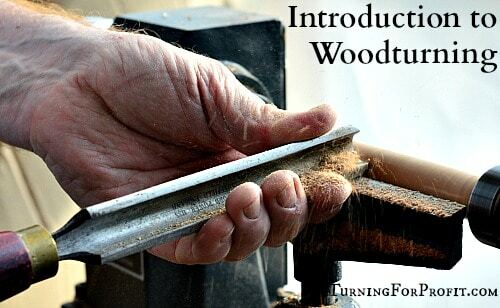 Be alert and aware of the dangers inherent in wood turning and other wood working activities. Richard Raffan said that all of his major injuries occurred at the end of the day when he was tired and not paying enough attention to his work. Here’s another initial safety video with a few more tips. Sounds like he is reading the script and the background music might put you to sleep. I would slightly disagree with the suggestion that you do not try advanced techniques. 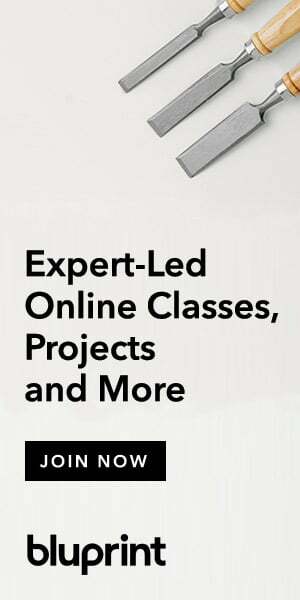 You should develop your skills, carefully expand your repertoire of techniques, and gently increase the difficulty of your turnings. For more difficult cuts move the tool across the rest and the work as if you were making the cut but angle the tool to miss the work. Get used to the movement that you want to achieve first then bring the tool to the work. You could also slow down the lathe speed as well. Keith Rowley from England attributes most accidents at the lathe to three things. 3. Tiredness or lack of concentration. 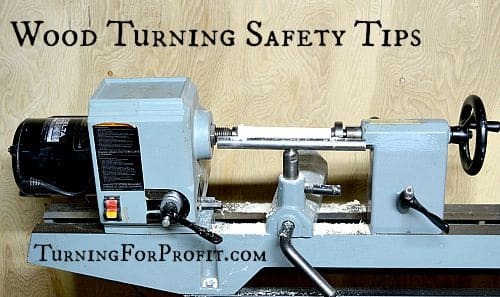 Keeping these three things in mind will greatly increase the safety of your wood turning. – do not wrap steel wool or finishing cloths around your fingers, instead hold them loosely in your hand so that if they do get caught they are released from your hand without taking your fingers with it. In addition to turning safely, basic lathe maintenance will allow you to enjoy many hours turning at your lathe. Basically a clean and oiled lathe will run easier with less vibration which will improve your turnings! Looks like I have a little bit of work to do out in the shop. Most wood turning books will have sections on safety with similar safety tips. The following two are quite helpful and straight forward in their presentation. Stay safe and enjoy your turning. What have you been working on? Please leave a comment.